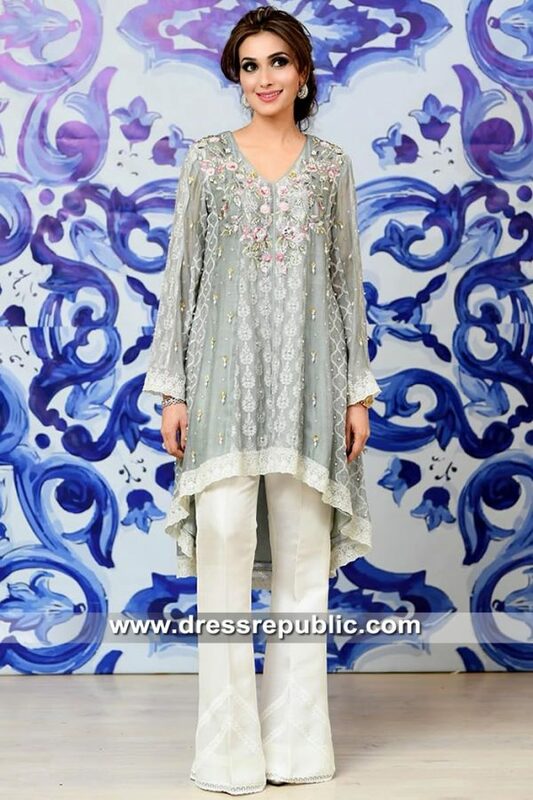 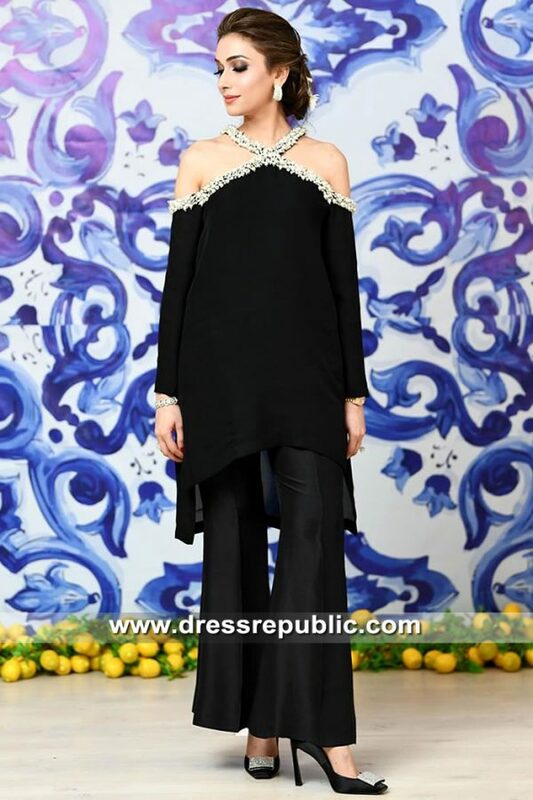 Glamorous embellishments accents the neckline and hem borders; ornamental motifs with sequins shower all over. 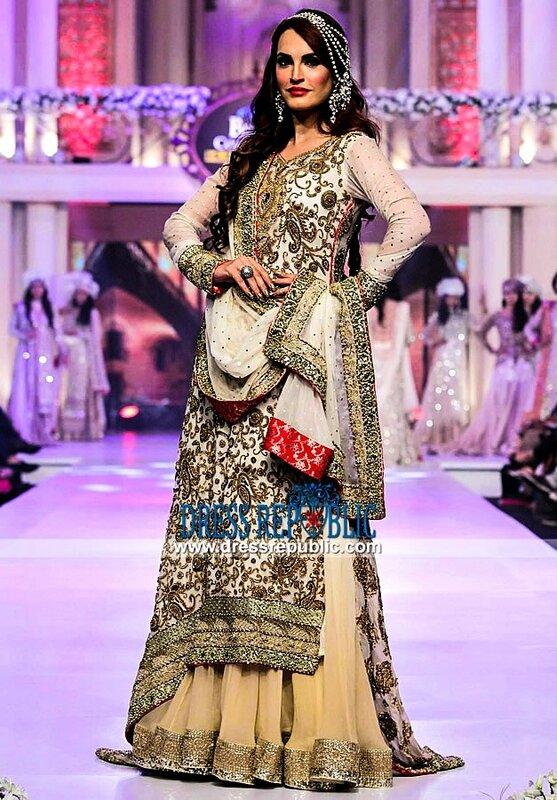 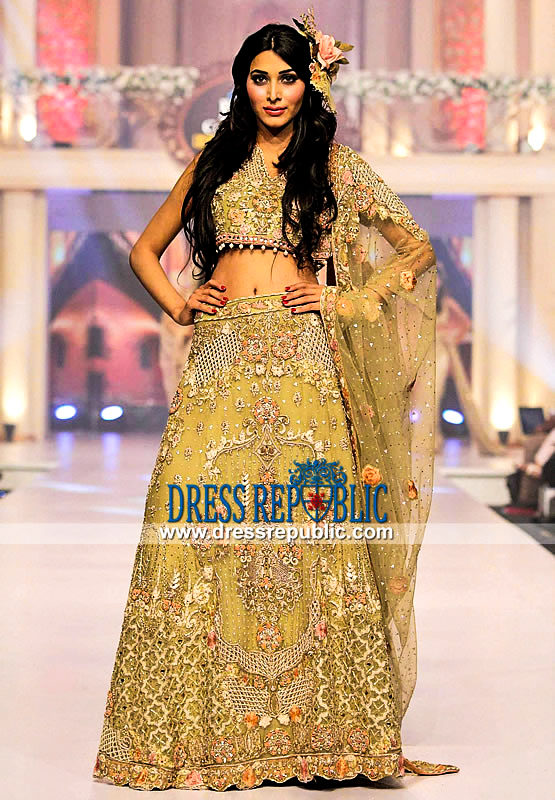 White jamawar lehenga is finished with embellished borders all around. 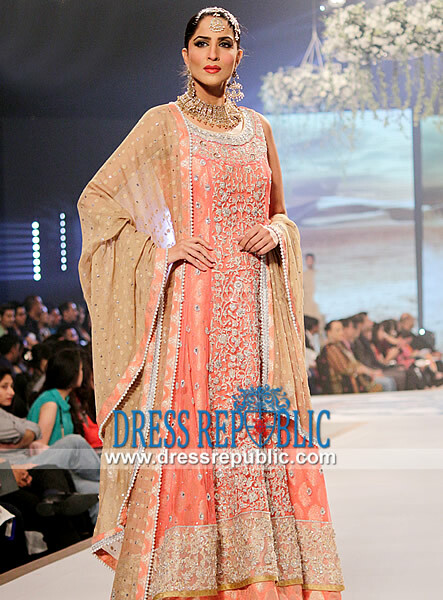 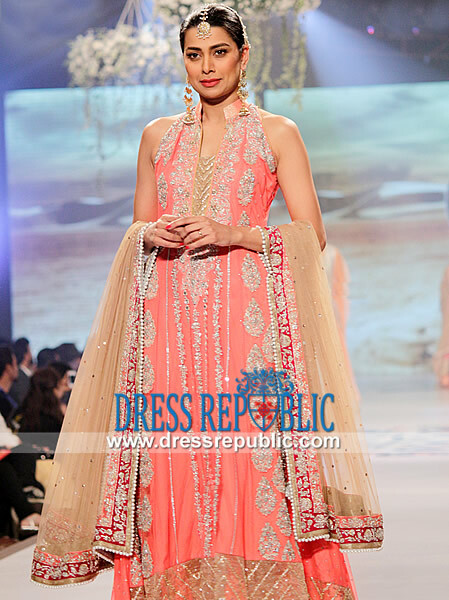 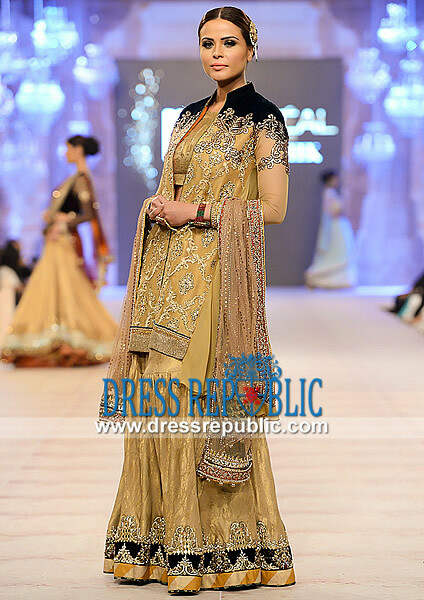 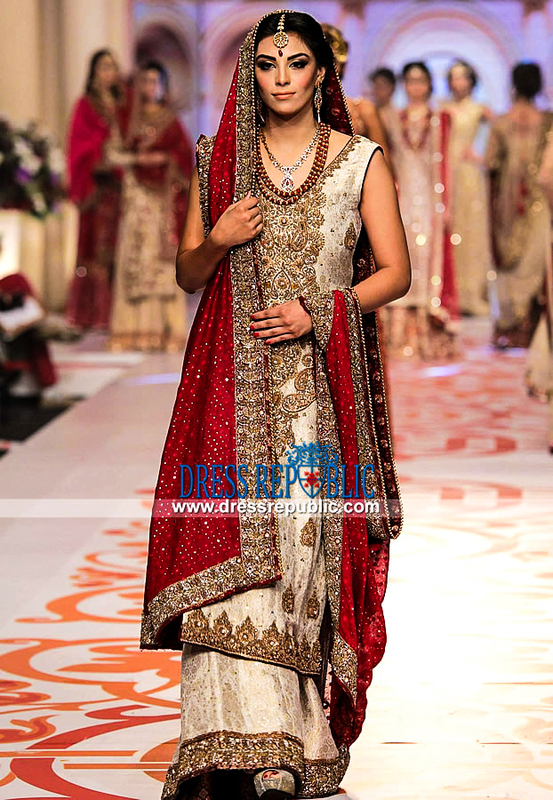 Scarlet chiffon jamawar dupatta having sequins shower and embellished borders.